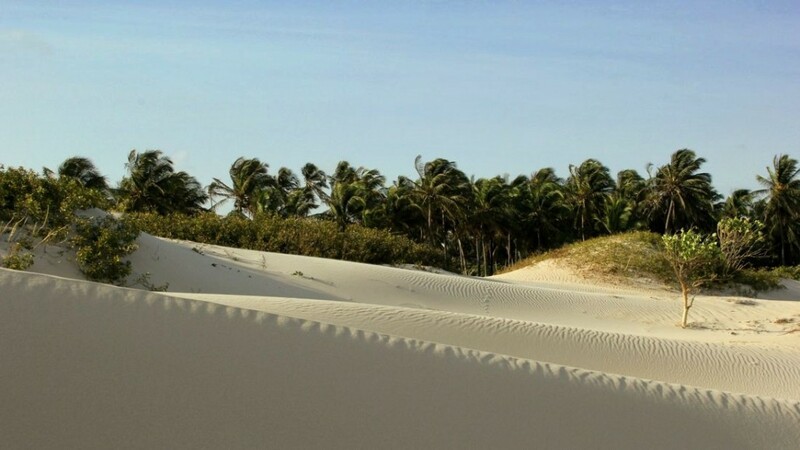 Jericoacoara is a small fisherman’s village with sandy streets in the north part of Brazil, hidden on the Atlantic coast among the floating dunes in the desert of Ceara (Ceara state). The closest airport is 300 km far from Jeri Fortaleza. 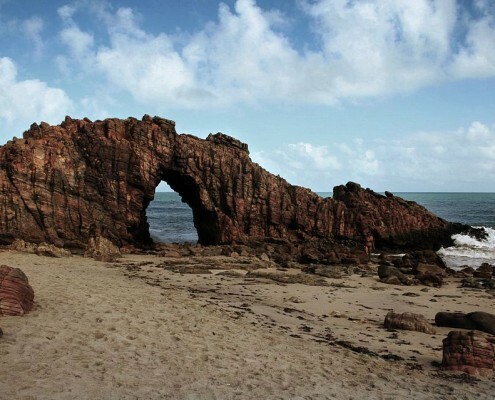 The transfer from Fortaleza airport to Jericocoara and Prea is by 4×4 pick up and take about 3 hours. The last 40 km to Prea and Jeri are strait trough the desert. The journey ends at one of the most beautiful places on Earth, and the windiest. 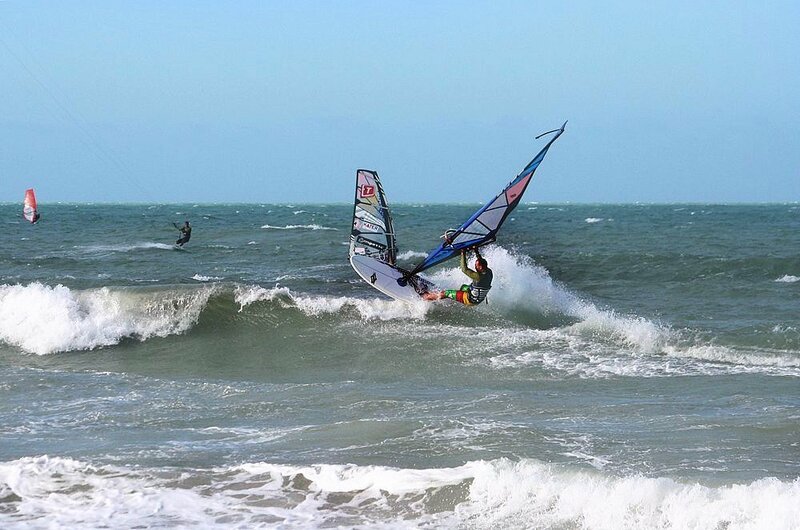 From October to end of December – 90 % windy days (wind 25 knots). Prea and Jericoacoara are 12 km far from each other. Prea is considered as the kite spot, with accommodation in nice villas and lodges on the beach. Jericoacoara is the the windsurf spot it means not that kite is impossible, just the best spot is reserved for the windsurfers. 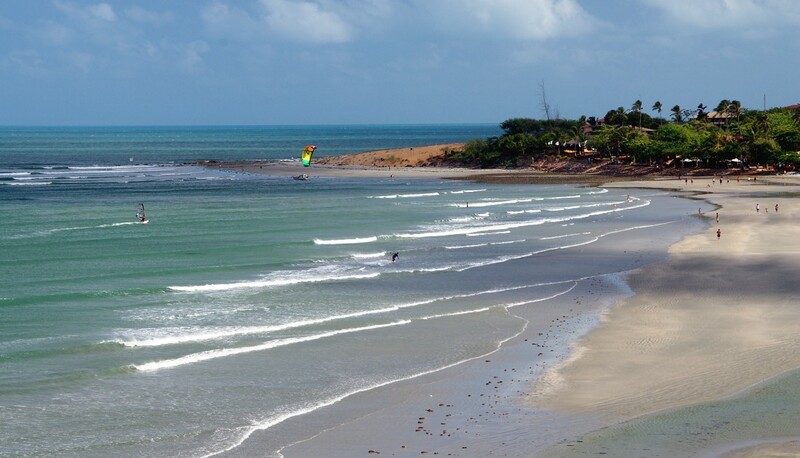 Riding conditions in Jericoacoara – side-shore, wave 1.5 to 2 m. The main spot at Jericoacoara is only for windsurf. You can ride kite at Malhada beach – wave spot with side-onshore conditions just beside the main spot, or in the lagoon behind the Sun set dune 1 km far from the main spot. 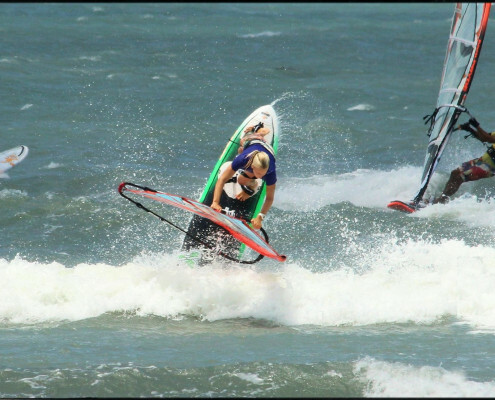 Riding conditions in Prea – Prea is the kite spot, side shore wind wave – 1.5 – 2 m.
The famous kite activity in Prea and Jericoacoara is downwind from Prea to Jeri, from Jeri to Guru, or to Tatajuba which is 25 km distance with different conditions. 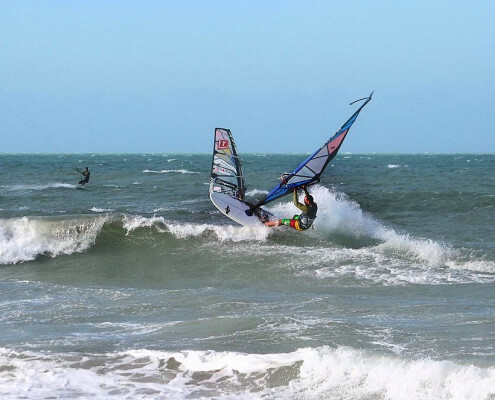 There lots of sweet water lagoons in the area perfect both for kite and windsurf. Accommodation in Jericoacoara – there is big choice of “posadas” from basic to luxury but what we suggest accommodation in several posads right at the main spot where both accommodation and equipment storage are provided at the price range 18 – 25 EUR per night including breakfast and equipment storage. Accommodation in Prea – we suggest accommodation in beach villas – great summer houses with kitchen, living room and 2-3 bedrooms, suitable for 4 – 6 persons price range – 100 – 120 EUR per night. Cleaning and breakfast included in the price. 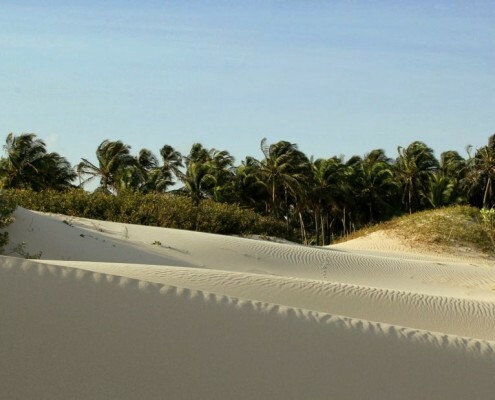 Transfer to Prea and Jericoacoara – 4×4 offroad vehicle from Fortaleza airport right to your accommodation place. 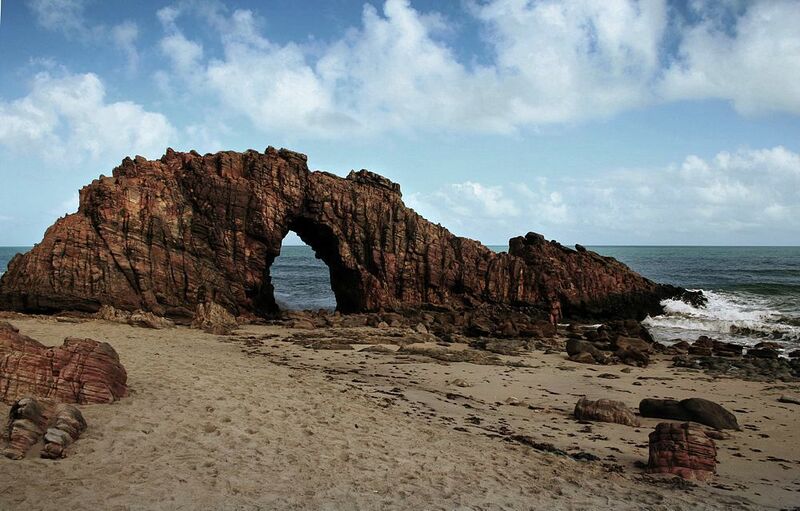 Other activities: – Jericoacoara is a place where you can enjoy all kind of activities 24/7. Lots of cafes and restaurants offer tempting specialties. Yoga, capoeira, back horse riding – all on the beach from sunrise to sunset, you can choose any activity or just to enjoy the amazing view from the Sunset dune. You can take dance classes or just to go to “samba night”. The area is incredibly beautiful, so you can make a buggy trip to Tatajuba, “lagua Azul” or to have a walk to Pedra Furada stones. Jericoacoara is a preferred destination for many pro-riders for it’s reliable wind conditions who spend several months each year here.